This video is from the Tamil movie Sivakaasi starring the popular Tamil actor, Vijay. Between Frankfurt, Germany and Chennai, Lufthansa shows a Tamil movie. Some of them are pure escapism like Vijay movies, others are serious like Kaadhal, a movie that left me sobbing at the ending. Kaadhal takes place in Madurai, a city I am familiar with. It’s the story of tragic young love. The main character, Murugan, falls in love with a girl but no one wants them to be together, and he is beaten by the girl’s father when he refuses to leave her. At the end of the movie, the girl — who is now grown with a husband and child — sees her old love in the street. Murugan is now a crazy beggar. She is with her husband and child, but despite that she runs to her old love, falls to the ground, and holds him. It is raining, she is crying, and as her husband looks on, she tells Murugan that she will never leave him again. By the look on the husband’s face you know that both she and her husband will take care of her old love. I was told that the movie is based on a true story — supposedly the director heard the story on a train journey from the actor who plays the husband. I was bawling at the end of this movie and when I stepped into the Chennai airport last year I still had tears in my eyes. 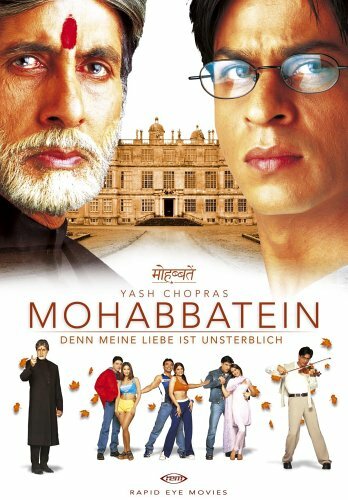 …long time Bollywood actor, Amitabh Bachchan AKA the “Big B”. The guy is in his 60s and to me he’s definitely the bomb! and when the Big B and SRK are in a movie together…. …now THAT’S what I’m talking about! But I love the old classic movies of Bengali movie director, Satyagit Ray. one of my favorites is Charulata made in 1964. Satyagit Ray was one of the greatest film directors of all time, not just in Indian cinema, but in world cinema. Two more weeks and I’m back in Kollywood! yay! kollywood is my fave too! but i love it all. This was really interesting. I had no idea about all these _ollywoods! Thanks, Linda. I’m going to have to check out some Satyagit Ray films (I know I’ve seen a couple, but don’t remember which). After reading your post, I found < HREF="http://film.guardian.co.uk/features/featurepages/0,4120,708691,00.html" REL="nofollow">this<> interesting article about him. thank you, gartenfische! great article and I loved the lines by the great Bengali poet Tagore at the end….peace.